We have used this storage company both personally and professionally for the last few years. Daniela has always been very accommodating, easy to work with, and very nice too. Daniela is simply amazing. Her customer service and willingness to help is unbelievable. She worked hard to make sure everything went smoothly. She offered the best customer service I have seen in a very long time. This is a gem of a person who should be treasured! Daniela truly went above and beyond for me, and all along she was warm and helpful and kind. She is a big asset to the company. When we sold our house quicker than we thought I reached out to Daniella in a panic. She was extremely professional, and a calming factor. She sat with me and went through what were some of the things we would need - boxes, packing paper/wraps, etc. She showed me the spaces she had available, and seeing how she manages her facility, and her customer service made our decision easy and peaceful. I would absolutely recommend anyone needing a top notch storage facility to come see Daniella! Very happy to have found this location. The manager, Daniella, is fantastic and very friendly. She was extremely helpful and easy to work with. Easy to access this immaculately clean facility anytime. Movers were able to get in / out quickly with the design and huge freight elevator. Great location and service is impeccable. The facility is perfectly clean and illuminated. The attention of the manager, Daniela, is not only irreprochable but warm and welcoming. This place is the very best! Perfect location, clean facility, excellent service from Daniela, who is incredibly helpful! I highly recommend this facility to everyone with storage needs. This storage unit is a five star facility. I selected this storage unit based solely on its location. It was a great decision. The unit is spotless. The surroundings of the building are clean and well landscaped. I have always felt secure entering the unit at night and alone. I highly recommend Burlington. I have been a customer at this facility for over 2 years now, and just picked up a second unit. The facility is always spotless, extremely well maintained, and secure. The location is very convenient, yet also private and not easily noticed. The management is quick to respond if you have any questions, and always greats you with a smile. Would happily recommend to friends and family! 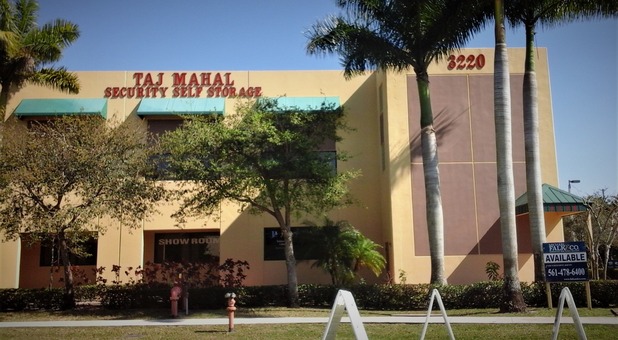 The Taj Mahal storage facility located in Wellington, FL., is the best storage facility that I have used. It's clean - (very clean) - monitored security with coded access, and there are elevators and carts and even a bathroom available for tenant use. Daniela is an excellent manager and she runs a tight ship and takes extra measures to assure the satisfaction of the tenants and cleanliness and safety of the facility. If you need additional storage, you won't do better than the Taj Mahal. I have had a great experience renting from Burlington Taj Mahal storage. The move in, renting process it is very efficient and simple. The manager is very professional and friendly. It is a very clean facility. They actually went above and beyond my expectations of a storage facility. I have used some other storage facilities in the past but Burlington Taj Mahal storage worth it every penny. I have been at the Taj Mahal facility for the past five years . I have never had a problem at the Taj Mahal storage and the employees are very personable . I have always liked the privacy and security of the facility. On several occasions the managers have gone out of their way to ensure the security and comfort of its customers . The previous manager Richard was an excellent representative and now Daniela brings a professional attitude to the complex . I am very happy here and wish the new management lots of success .